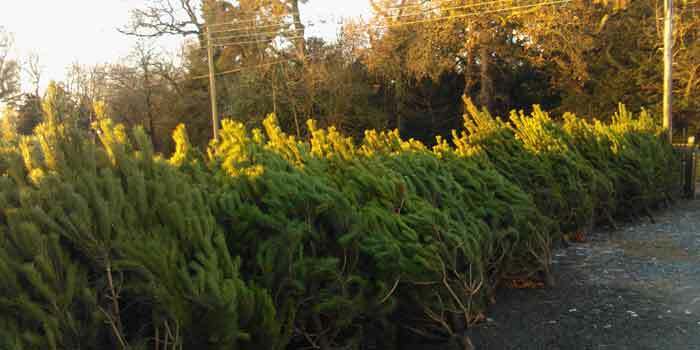 Fresh Christmas trees are sold by Hopetoun Groundcare on the Estate every year from 1st December. Located on Trinlaymire Farm in Threemiletown there’s a large selection of varieties and sizes available so everyone can choose their favourite. The trees are on sale daily from 1st to 23rd December during daylight hours at Trinlaymire Farm, Threemiletown, Linlithgow EH49 6NF (between Linlithgow and Winchburgh). The farm will be clearly sign posted along the B9080 from 1st December. All trees are wrapped on-site to order and there’s also a number of fresh wreaths, holly and firewood (available all year) for sale. Local delivery can be arranged for an additional cost.